Check out our full range of barbering supplies, including razors and blades, barbering scissors, mens hair care ranges and barbers chairs. It is an essential styling comb to groom and section all hair types. Extremely durable. Use to secti.. These Agenda Appointment Cards are of top quality colour print making them a must for all salons. .. The 1 Litre stainless steel and moulded glass jar for disinfecting salon instruments. .. The 57ml stainless steel and moulded glass jar for disinfecting salon instruments. ..
E.P.A registered hospital disinfectant for all salon use, Barbicide is a powerful disinfectant which..
For placing on clients necks, the 100% waterproof Clean All Neck Paper makes sure that they will sta..
Coupe'Feu Cooling Sticks 10 pieces. Cooling Shaving Sticks against irritation. T..
Duster brush. 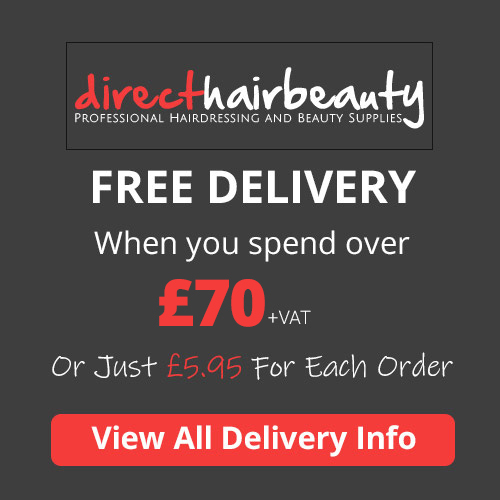 Denman Duster Brush D78 is used for the gentle removal of loose hair from the face and.. The traditional drying of Italy's best barber shop Professional hairdry..
High quality, soft bristle neck brush with a chunky rubber grip for satisfying, firm control. D..